It seems like I have an idea for a new article on #GeniusHour, #20Time Projects, or passion-based learning every week. I’m constantly reflecting on my challenges and successes this year and find it really helpful to share those thoughts here for reflection and growth. With that in mind, I plan to share sample projects, discuss ideas for changes for the future, and more. But today, instead of focusing on my words and ideas, I want to focus more explicitly on my students and their ideas. You all know what I think about #GeniusHour (but if not, be sure to check out some of the articles listed below). But what do my students think? What value did they find in their work? How have they grown as students, learners, and geniuses? Below, I briefly discuss my students’ reflection process and then share excerpts from their writing. Too often, we hear from the adult stakeholders, and I think it’s essential to make sure our students’ voices are heard, too. Read some of my recent articles about my students' #GeniusHour work, starting with Redesigning Learning Spaces. 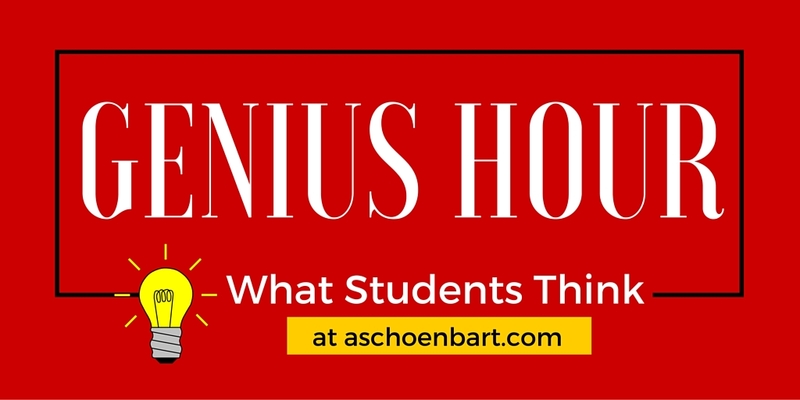 Then, find more of my recent writing on Genius Hour with Sharing Students’ Genius: A #GeniusHour Reflection, Developing Genius: Reflecting on Choice, Passion, and #GeniusHour, Teaching Students to Conduct Action Research, and My Questions About #GeniusHour. 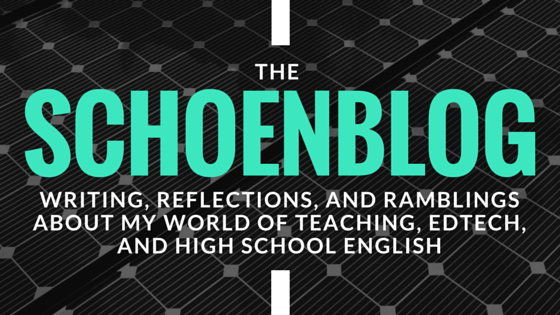 For my students’ blogs and work, visit geniushour.aschoenbart.com. Then, students continued to reflect in their Reflection Doc. This template was assigned through Google Classroom and asked students about their plans, adaptations, growth, and challenges. I assessed the quality of this reflection in its thoroughness, honesty, and thought, and assigned a 50-point grade to their reflective work. In most cases, I simply doubled the students self-assigned grade because their evaluations were accurate. Many of my students were too hard on themselves, though. A handful were too easy--but just a few. The metacognitive thought and reflections required for this assignment is essential to the Genius Hour process for me. It’s great for students to learn, research, and create, but it’s in this reflection that I learned the most about their real growth and passion. What was the value of Genius Hour for you? Consider the skills you learned and practiced, the research and writing you completed, the knowledge you learned, and the product you created. What did you find most valuable? What did you like or learn from? And what wasn’t valuable? Why? How did you feel about your presentation? What went well? What could you have done better? Would you consider your project a success? A failure? Somewhere in between? Consider your work and effort, your proposal, and your product, and then explain your answer. How did you apply yourself in this project? Did you work to the best of your ability, individually or with peers? What advice would you have for teachers who are doing Genius Hour projects in the future? What about for students? What would you tell them that would make the project go more smoothly or more successfully? Below, I’ve excerpted responses from a few different questions. My students were told in advance that their responses would be shared anonymously, and their thoughts appear below without edits. For you, what was the value of Genius Hour? Genius Hour was a valuable time to test my abilities. Genius Hour forced me to think outside of the box, and be creative for a school project. I was also able to improve skills that I already knew how to do (annotated bibliography). I think the most valuable part of Genius Hour is letting kids express themselves by allowing them to learn about whatever they want, and as an end product, the results could be anything. There was no right or wrong really. 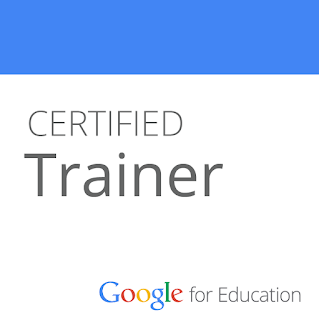 It lets kids feel accomplished. There wasn’t anything really that wasn’t valuable for this project because, a lot of the prep work and research required skills that you’ll need throughout life. Genius Hour helped to improve that. Genius hour allowed me to develop research skills while still obtaining the freedom to explore a topic I wanted to. I practiced conducting a survey and making something out of my results. There wasn’t anything I specifically found to be unvaluable, because although this work didn’t necessarily prepare us for our english final, it was a great learning experience. Genius Hour helped me be able to use many different sources and combine them into one meaningful idea. Genius Hour helped my learn how to do effective research and how to properly do annotated bibliography. Genius hour allowed me to really find an interest and passion for my topic. Through my research and gathering all information to form my final product I was able to gain insight of how others feel about stereotypes. What advice do you have teachers with Genius Hour? I would advise teachers to leave it up to the students as much as possible. If they do this, it will allow the students to do projects that they really care about, and then do what they want with them. I think putting guidelines out, and then establishing a due date, and telling them to go out and do their best would be the best way to do this project. It would have been a bit easier if there weren't as many deadlines other than the final product. Many (myself included), find it easier to work at our own pace as long as we are getting things done. I think that the project is well run, and I like how the students work independently with only some help. Advice that I would give to teachers would be to make sure that their students are encouraged and and confident about their work to make sure they are successful with what they do. As for students they should make sure that they know what they are doing, do it to the best of their ability, and be confident and proud of their work. My advice for teacher that are doing this is that they should keep doing this because this is the only project where you could pick what and how to do it. Students should enjoy this project if they follow everything. I would tell them to let their students have full creative rights to whatever they want to do because this way the project is more enjoyable for them to complete. In my opinion, when there is a lot of guidelines for a project, less student will end up completing it or completing it correctly. Creativity gives the students the opportunity to explore their interests freely. What advice do you have students with Genius Hour? Choose a topic that you are fascinated about, and choose something that you will want to work on for a long time. Don’t go with something that you think will be easy or something that you’ll quickly lose interest in. Then, learn as much as you can about it. 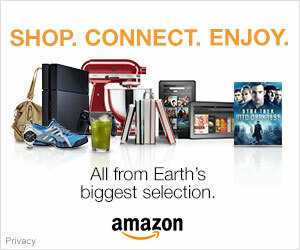 Find every article and every video and talk to every person. Then figure out what you’re going to do with it, and do it. Make sure you don't fall behind on any posts. Your research is most important because it will show the most in the final product. You want to have a big sample size for your survey to get more valued results. I would tell them to find something that really sparks them and could relate to easily. If it’s to hard to relate to than it’s not going to be fun or worth working for project. Also I would tell them to make sure they plan their time and organize their work. Lastly working with a partner or a group to split up the work would make it much easier when they go to present so they won't feel bombarded with information. My advice to tell the students to really pick something they would like doing and enjoy learning about it. For the students do not leave everything to last minute and to actually do the work and not slack on it so pick something they really enjoy or actually want to learn because if you pick something you don’t want you are not going to find interest in it. For the students, I’d say that they should keep an open mind, and not give up on a topic just because it seems silly or they are having trouble coming up with a research question. If they are truly passionate about the topic, then they should keep working at it. That’s the best way to get results, since you always work harder for the things you love. The comments above are just a handful of the thoughtful and interesting reflections from my students. In particular, their insights on deadlines, pacing, and scheduling hit a chord with me and will lead me to reconsider my planning for next year. I also want to make this type of reflection, self-assessment, and metacognition a more regular part of my classroom moving forward. A project like Genius Hour is amazing for developing student voice with choice and authentic audiences, and for me, this metacognitive reflection clearly displayed students’ passion, growth, and success. If you're interested in more, it might be interesting to compare these comments to last year's feedback. To see last year's #20Time reflections, read 1st Time #20Time: What My Students Think. What advice do you or your students have about Genius Hour? About passion-based learning? Share your thoughts or insights from your students in the comments or on Twitter. Hey :) Quick question...Why does the rubric need to have points allocated? Why not just answer the questions? Hi George! Thanks for reading and commenting. That's a great question, and one that's been on my mind a lot lately. In the end, I need to enter a numerical grade for my students' projects, and this way they have the voice and agency in evaluating their work. Still, I'm starting to struggle more and more with that system--both in my own policies and as a larger system. I definitely want to explore other options for next year--any suggestions where to start?